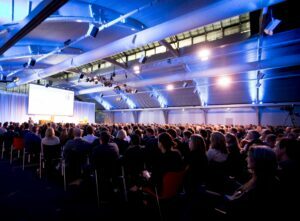 Since 1995, Excel has been bringing people together by organizing conferences and events. Personal contact, transparency and short communication lines are key values in these processes. We aim to organize an innovative and customized meeting for each and every client, now and in the future. Organizing a conference is all about sharing knowledge and networking. Excel carries out the total organization of congress. Our highly motivated and professional team aims to completely support the initiator. 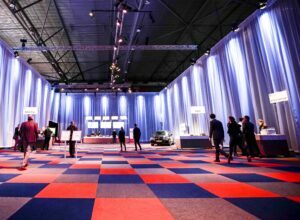 In consultation with the client and the scientific committee, one of our project managers will develop a complete concept (from event design till execution) for your congress. Would you like to discuss your ideas? Feel free to contact us! Together we’ll look at all opportunities. Over the years, Excel has created many magnificent events. Ranging from a speakers dinner, to corporate events, festive dinners with special entertainment, various club parties, big anniversary celebrations in the Peace Palace and public fairs. 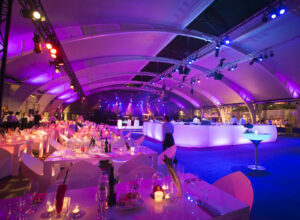 Our portfolio gives you a good impression of the diverse events that Excel organized. A surprising and unique event for every client, that is what we aim for! Want to know more? Feel free to contact us or read on on our event page. 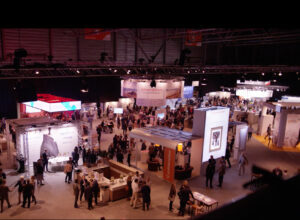 An exposition or information fair adds an extra dimension to your congress or event. It enables your sponsors to present themselves in the ultimate way to their target group. Moreover, it offers you the opportunity to enhance your budget. Due to several years of experience, Excel has significant knowledge of law and regulations concerning sponsoring and expositions. Interested in organizing an exposition at your event? We are happy to advise and share our thoughts about the design and organization of your exposition or fair. Excel executes the office management for several associations. The organization of activities/conferences/meetings, member administration, communication within the society, developing and maintaining a website, and contacting and contracting possible sponsors are some examples of tasks belonging to office management.